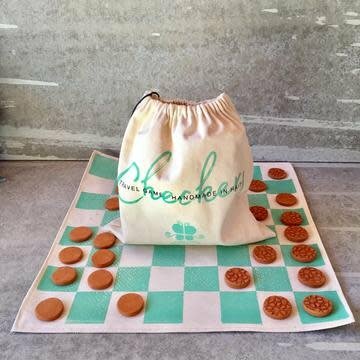 Handmade fold up checkerboard with handmade clay coins, perfect for traveling with! Comes in a travel pouch. Dimensions : 15" x 15"